Shareholders’ funds refers to the amount of equity in a bank, which belongs to the shareholders. 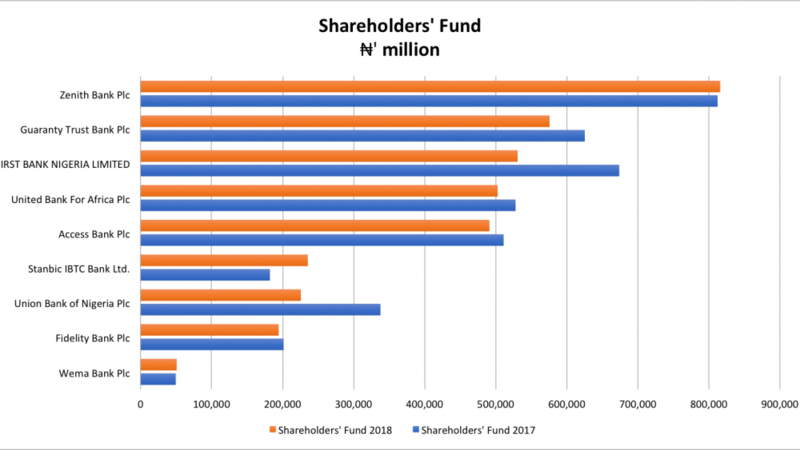 The amount of shareholders’ funds yields an approximation of theoretically how much the shareholders would receive if a business were to liquidate In this educational article, we list the 2019 top banks in Nigeria by Shareholders’ funds. It is the value of the shareholders’ interest in a bank. For banks (as opposed to group) accounts it is simply all assets less all liabilities. For consolidated group accounts the value of minority interests should also be excluded. The addition of minority interests gives us “shareholders’ fund including minority interests”. Further adjustments give us total equity. The balance sheet value of assets does have some significance for valuation. However, changes in shareholders’ funds are also important. The items within shareholders’ funds (share capital, reserves and retained profit) are usually of little importance, although the amount of distributable reserves might matter to shareholders if it is too low, and (even more rarely) to creditors if it is too high. Return on shareholders’ investment ratio is a measure of overall profitability of the business and is computed by dividing the net income after interest and tax by average stockholders’ equity. It is also known as return on total equity (ROTE) ratio and return on net worth ratio. 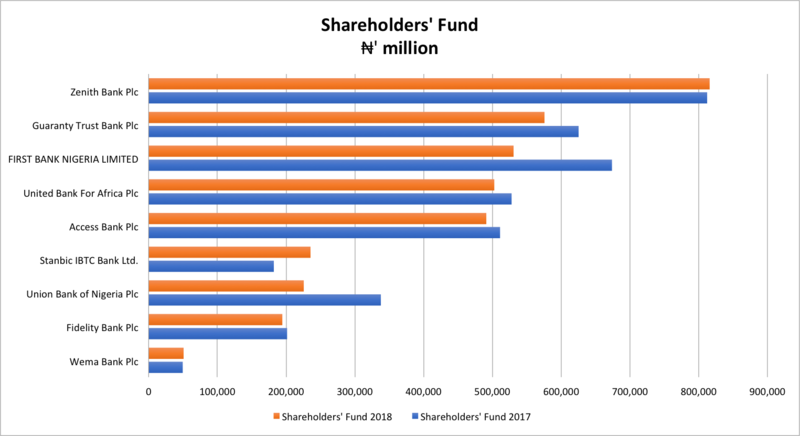 Zenith Bank PLC (#816bn), Guaranty Trust Bank PLC (#576bn) and FIRST BANK NIGERIA LIMITED (#530bn) have the highest shareholders’ fund in the year 2018.